I don’t often write about Korean restaurants. Mainly that’s because I actually don’t go to them that often and when I do, I usually go for a quick lunch and order a dolsot bibimbap. However, this week, I didn’t make myself a packed lunch to write about, and I had recently been with friends to Asadal in Central London, so I thought to share this photo of our table full of delicious Korean food! I love the sundubu jjiggae at Asadal, and usually order that as main dish but I forgot to make a photo this time. Good reason to go again soon…. 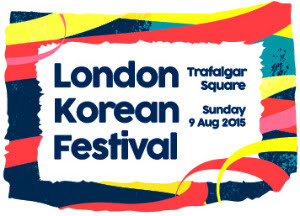 Just to let you know that there will be a ‘London Korean Festival 2015’ in Trafalgar Square on Sunday 9th August 2015, free entry! The event brings together an exciting mix of modern and traditional Korean culture with a dynamic programme of K-Pop, dance from classic to break dance and delicious Korean food, plus E-Sports Games and live music. Inspired by the challenge of HarsH ReaLITy “Daily Life in ___.” I would love it if you could include some photos of your everyday life, your city, your town, or basic “daily photos” that will share your life and country with us. Remember that a view or landscape may be mundane to you because you see it every day, but to others these scenes may be as exotic as they come. I believe these posts will generate a lot of attention, interaction, and will be fun!”, I am today sharing some photo’s with you of my morning! Not sure if my photo’s will count as exotic… ;-), but it was fun making them, and I got triggered to look more around me for photo opportunities and discovered some new sights! I live in London and my day normally starts around 06.00….when it’s still dark…..although I can see the sky slowly lightning up at the back of the house. I usually start with packing my lunch for that day before shower/getting dressed. Today we received our veg/fruit box, this is delivered overnight, and although I can check on the website what will be in it, I like the surprise in the morning. Today’s box had swede, leek, onions, cavalo nero, cauliflower, carrots, pears and oranges. I also order eggs with them (we go through a lot) and sometimes fish or meat. This morning’s fish arrived in a special insulated box with an ice pack. My lunch today has some focaccia bread (as I am out of prepped rice), a tomato/egg salad, some cheese and carrot sticks. I also added orange wedges in a smaller container. Before leaving the house, I put rice in the cooker and time it to be ready for tonight. My commute goes via Waterloo station, but luckily it’s not very busy yet – although I did leave the house earlier than usual to allow for extra time making photo’s! These are some photo’s of my commute,around Waterloo Station, the poems in the tunnel under Imax and views from Waterloo bridge. From Waterloo, I usually take the bus to work (I work in the Bloomsbury area), but sometimes I walk, like today and once you start to pay more attention to your surroundings you notice a lot more things like this “barrel clock” – with the wrong time, a ballerina with a globe as head in a large glass globe on the facade of the Royal Opera House and this old arch for a drinking water fountain above a modern tap! Last Saturday we went to Japan Matsuri, ie Japan Festival, which was held on Trafalgar Square in London. The theme of this year’s Japan Matsuri was ‘washoku’, or Japanese cuisine…so you can imagine why I was keen to go! I normally avoid going into central London during the weekend, but with events like this, I am just so happy to live in such an international city as London! We arrived just when it started at 11.00, but even so, the square was already heaving with Japanese residents of London, tourists and Japan(ese food) lovers. It was so cute to see little girls dressed up in kimono…I should have take a photo but I forgot. I’m sure they will show some photo’s on the Japan Matsuri website, which you can find here. After a quick round along all the food stalls, I decided to try out the Okonimiyaki of Okan. Okonimiyaki means “as you like it” and it’s a cabbage based pancake. The version Okan served was finished with brown sauce, Japanese mayonnaise (on the side), green seaweed flakes, corn and bonita shavings. The kimono bookmark was given to me when I entered a competition to transfer as many raw azuke beans from one bowl to another bowl in 30 seconds. I failed miserable…the raw beans are so slippery! But I still got the bookmark, which is very pretty! Am now seriously considering starting to collect cute chop stick rests….so far I only have a few, and they would be a good addition to my Bento accessories collection…… :-). There were lots of other activities during the Matsuri, including radio Taiso, taiko drummers, Hiroko Tanake dancers and much more, but we only stayed for a short time so didn’t see everything. Still, what we say and ate (aside from the Kaarage) was worth going into central London for! Anyway, hope everyone had a lovely weekend, and I would love to hear back if you have ever visited a Japan Matsuri and about your experiences.